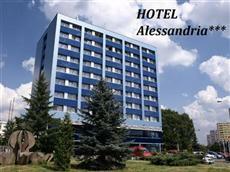 The Alessandria Hotel is perfectly located for both business and leisure guests to Hradec Kralove. All hotel's guestrooms have all the conveniences expected in a hotel in its class to suit guests' utmost comforts. Each guestroom is fully equipped with internet access (wireless), internet access, shower, separate shower and tub, satellite/cable TV.The amenities and services offered at this Hradec Kralove accommodation include coffee shop, bar/pub, meeting facilities , nightclub, restaurant, salon. For a more enjoyable stay, guests can take advantage of a variety of recreational facilities, including golf course (on site), gym, sauna, tennis courts. The hotel provides a warm and welcoming service of international standard. Make your reservation at the Alessandria Hotel Hradec Kralove now by selecting your chosen dates of stay and submitting our secure online booking form.